What do most small business want to do? Get bigger, of course. Maintaining and increasing sales is the most important challenge facing three out of four small business. 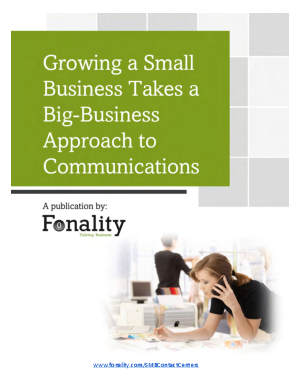 In order to grow, more and more small companies are embracing the novel idea that any business with customer telephone calls coming in and going out is, in fact, a contact center with the power to build –or break—their brand. By seeing themselves as contact centers and obtaining the technology that makes that approach a reality, a small business can more and do grow faster. To learn more download this e-book.